Wingspan approx 35 mm. 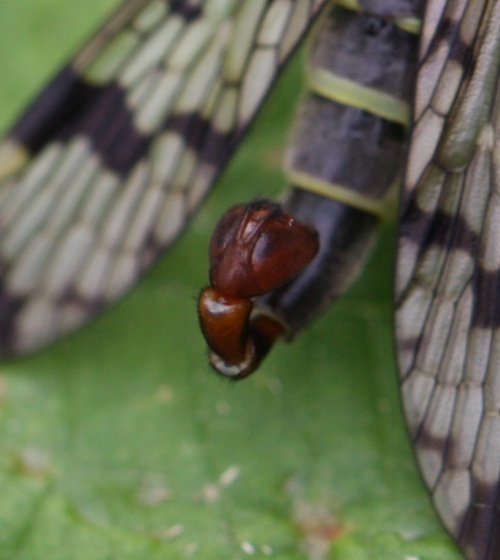 It can be identified by its patterned wings and sturdy beak. 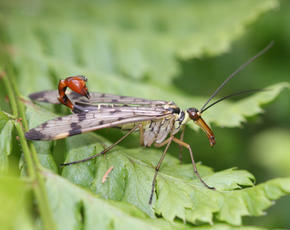 The scorpion-like tail is only seen in the male and is in fact its genitalia - and doesn't sting! 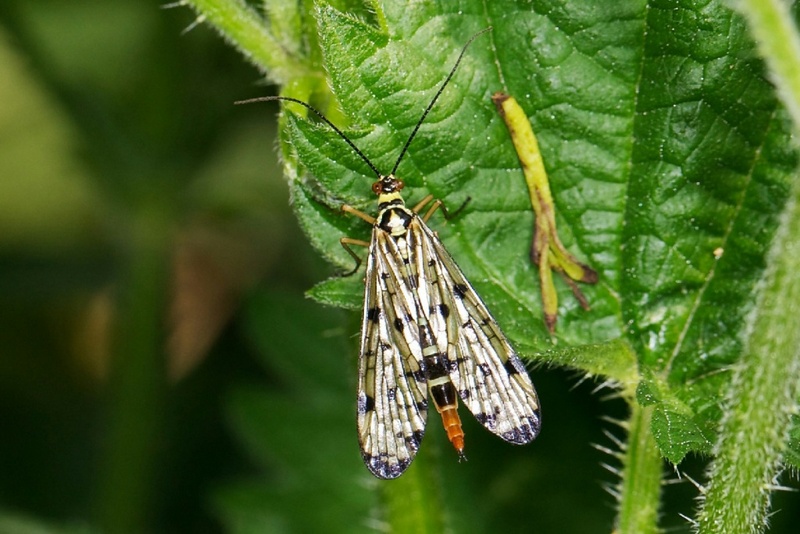 There are three Panorpa species in Britain and all require close examination with a microscope or good hand lens to distinguish them. 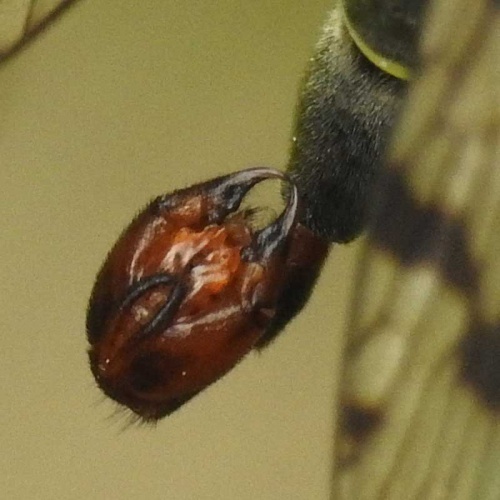 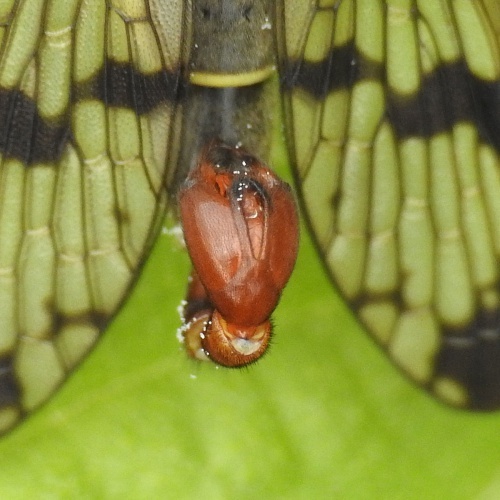 In males this involves looking at the ventral surface of the genital capsule and in females the ovipositor. P. germanica has thickened parallel hypovalves on male genital capsule, which are calliper shaped in P. communis. Females need to be examined with a microscope. 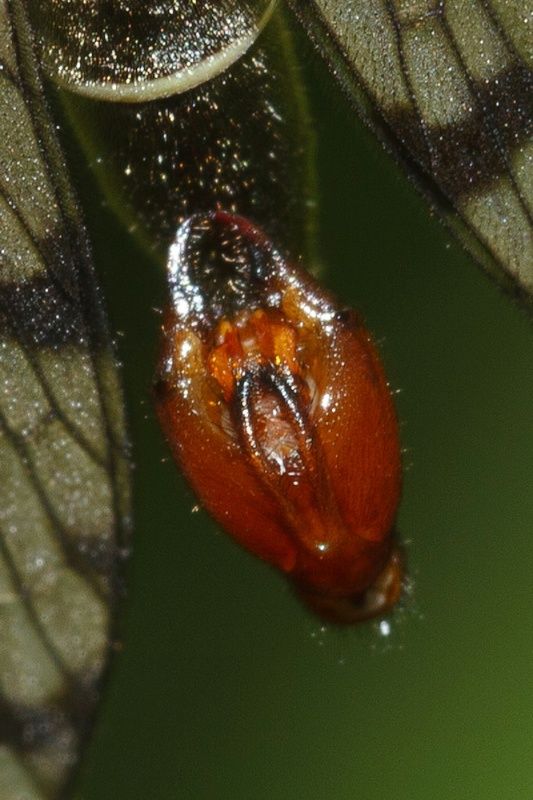 Males can be identified from a good view of the hypovalves on the genital capsule. 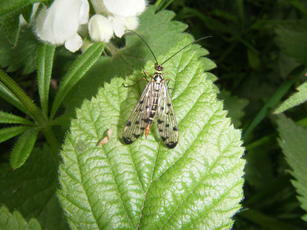 Hedgerows, Nettle beds and well wooded areas. 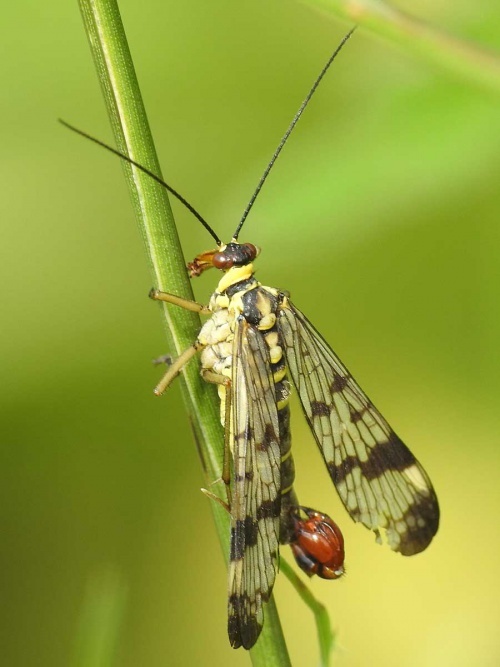 They feed mostly on dead insects, which they frequently steal from the webs of spiders. Mating usually occurs at night. 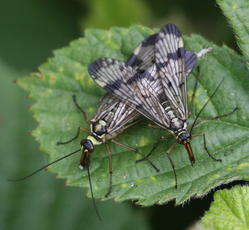 It can be a dangerous time for the male, if he is not careful the female might decide to kill him! 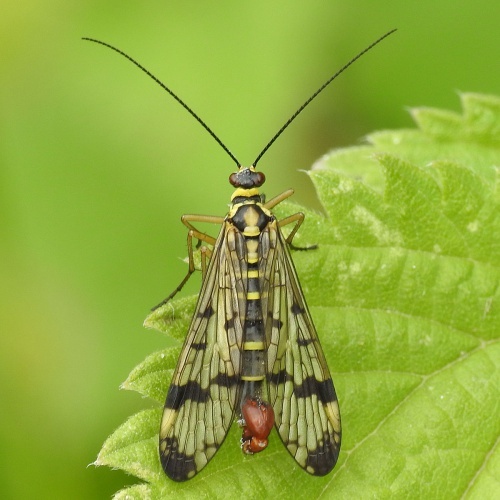 To avoid this he presents her with a gift of a drop of saliva which, it seems, in the world of scorpion flies, is the equivalent of a bunch of roses or a box of chocolates. 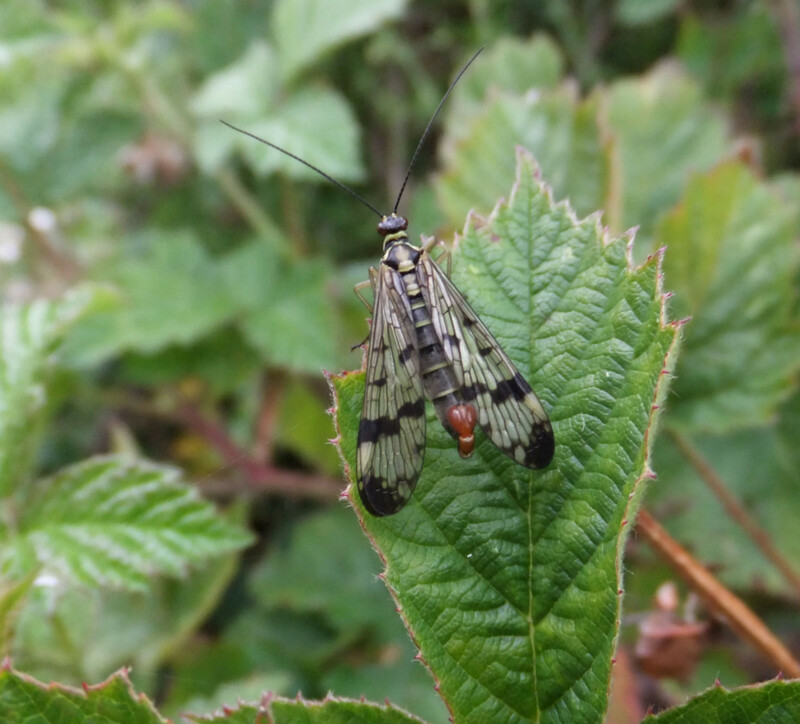 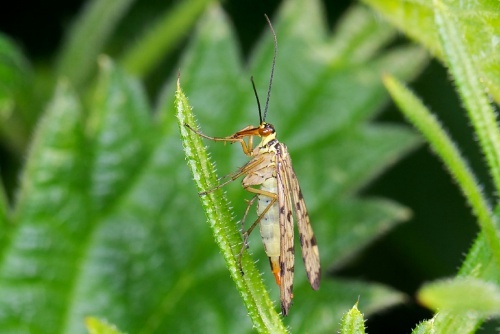 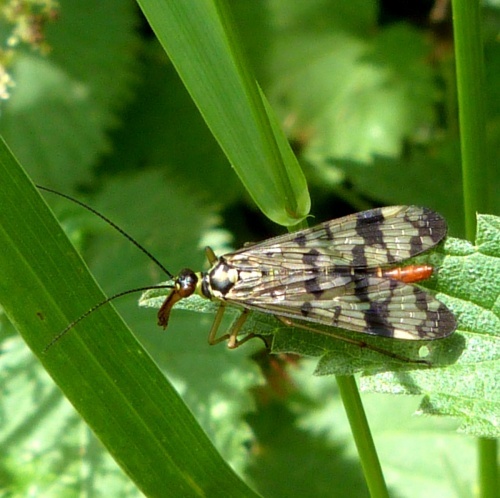 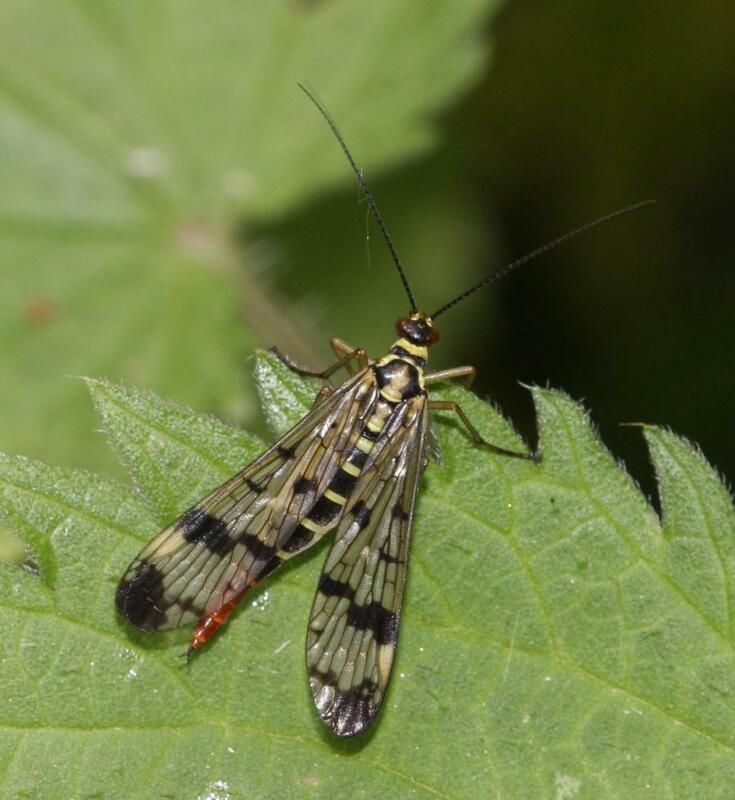 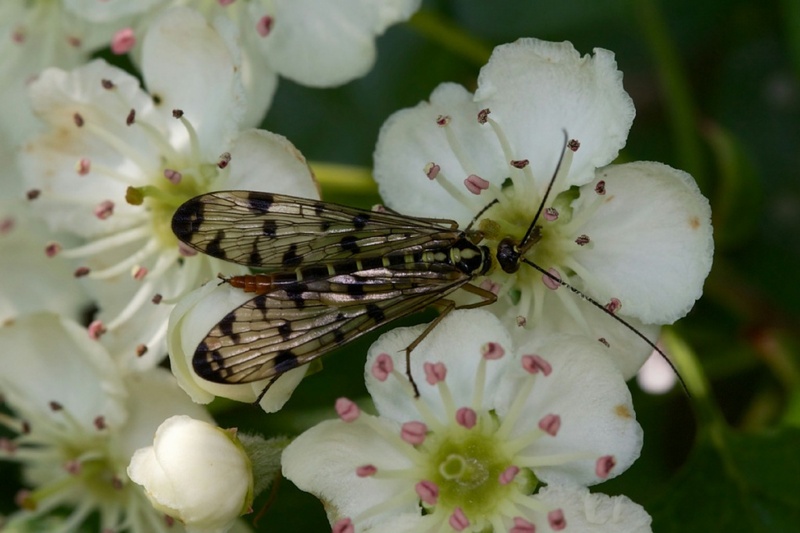 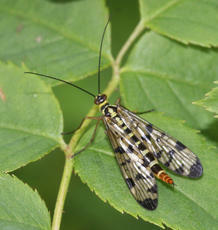 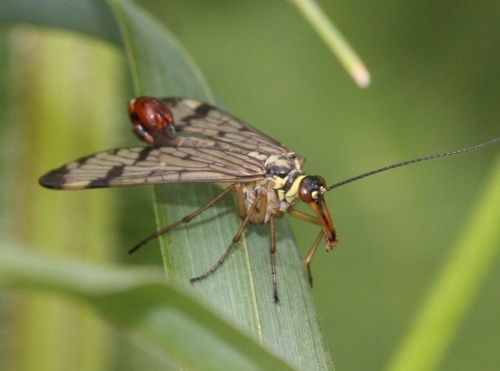 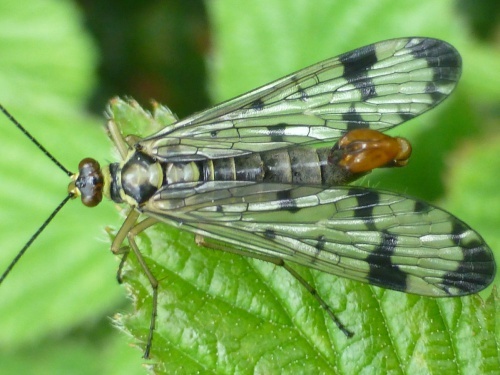 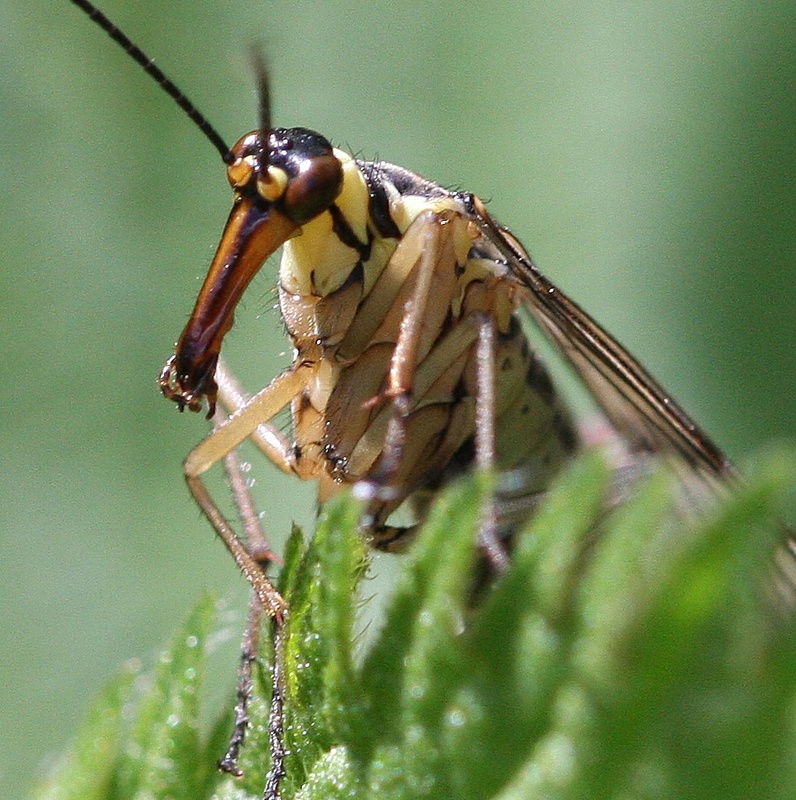 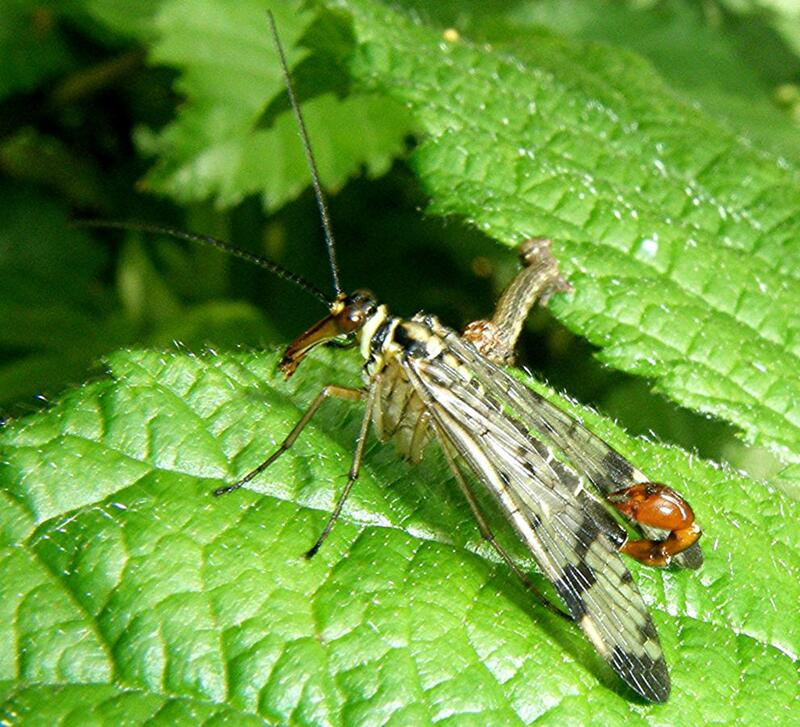 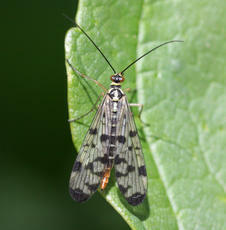 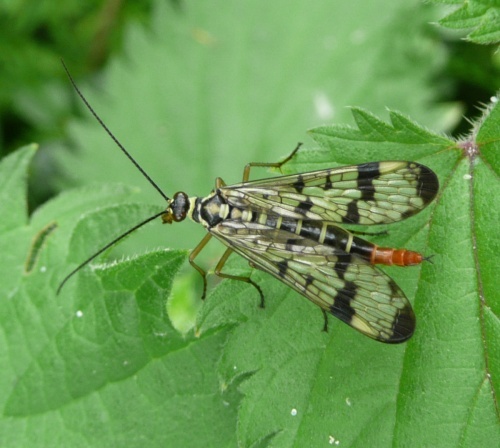 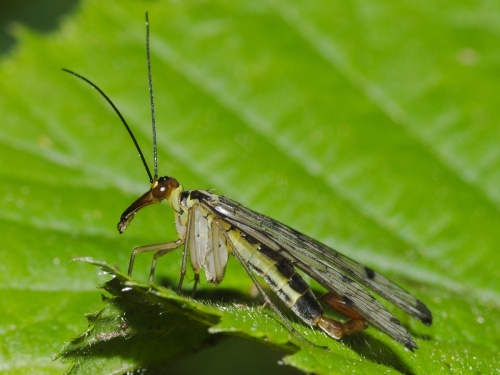 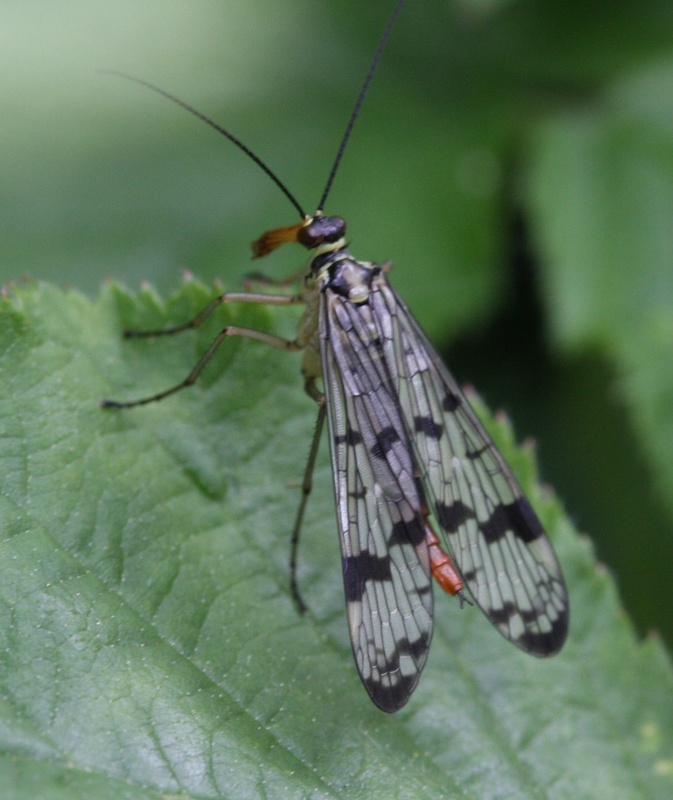 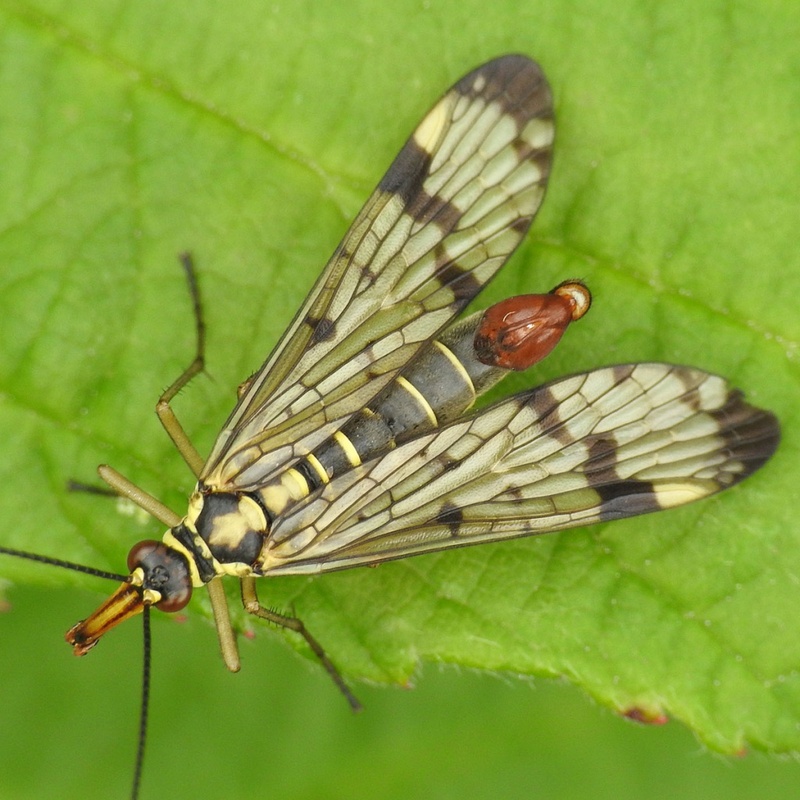 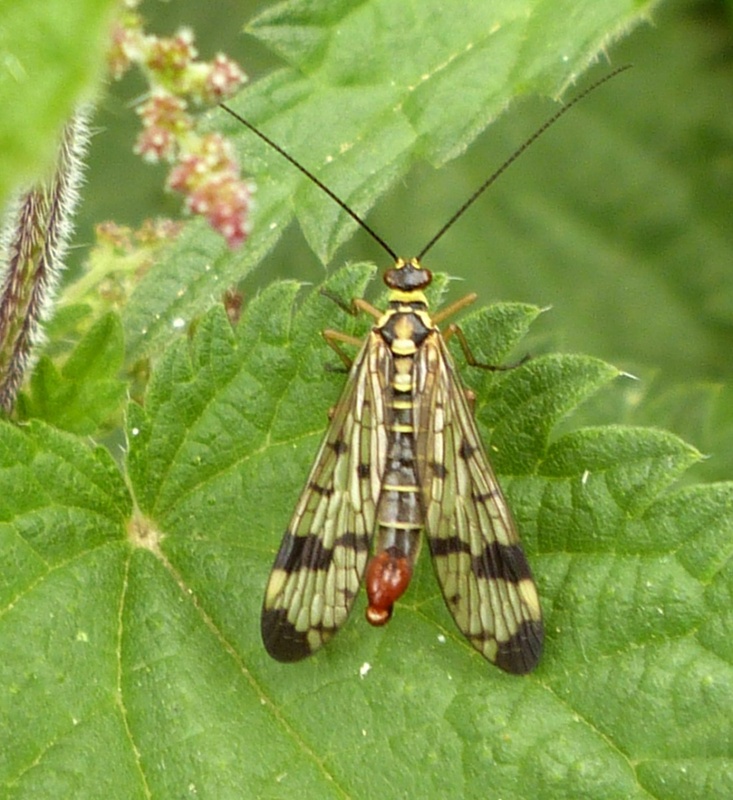 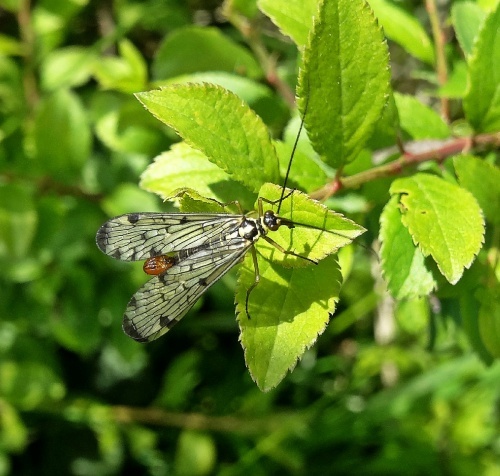 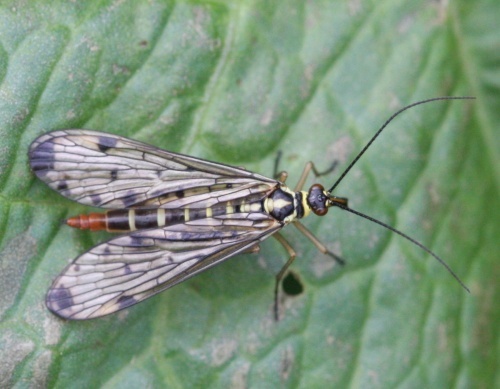 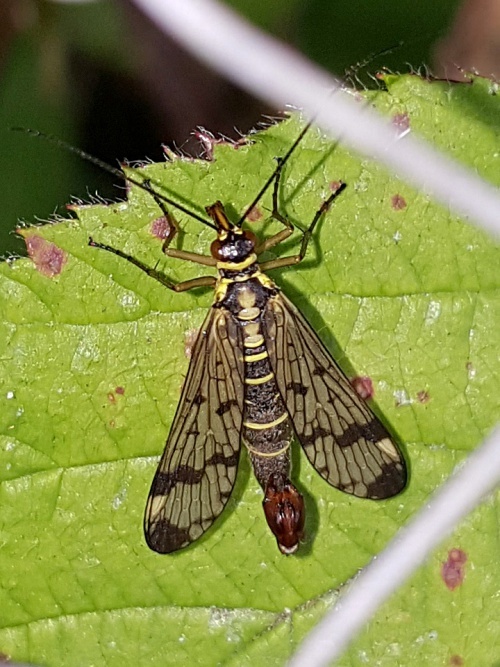 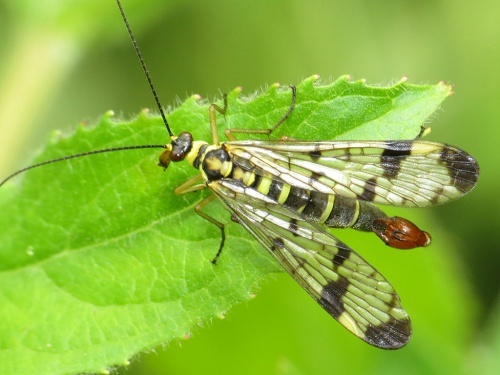 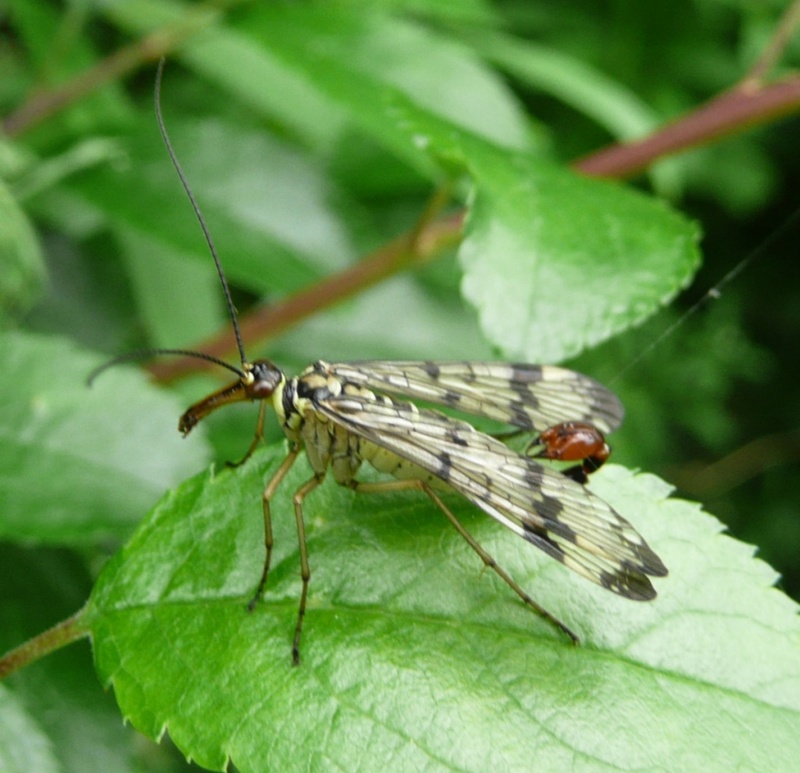 This is the most common and widespread Scorpion fly in Britain, but with few records from northern Scotland.